Fans of Edible Skinny know that we love the tingling tinsel world of holiday tipples! Drinking some booze always helps to keep the season bright! So if you’re looking for that last minute gift for the imbiber in your life or just for yourself to get through the family all gathering together, here’s a couple of our favorites! The California based Quady Winery creates sweet and aperitif wines that are perfect for a special occasion! Their Golden Essenia is a full bodied sweet wine that tastes like spiced orange marmalade and has a fortified alcohol rate of 15%. A straight glass is perfect with chocolate, cheesecake or goat cheese. And for those looking for something on the lighter side this dessert works great for spritzers! 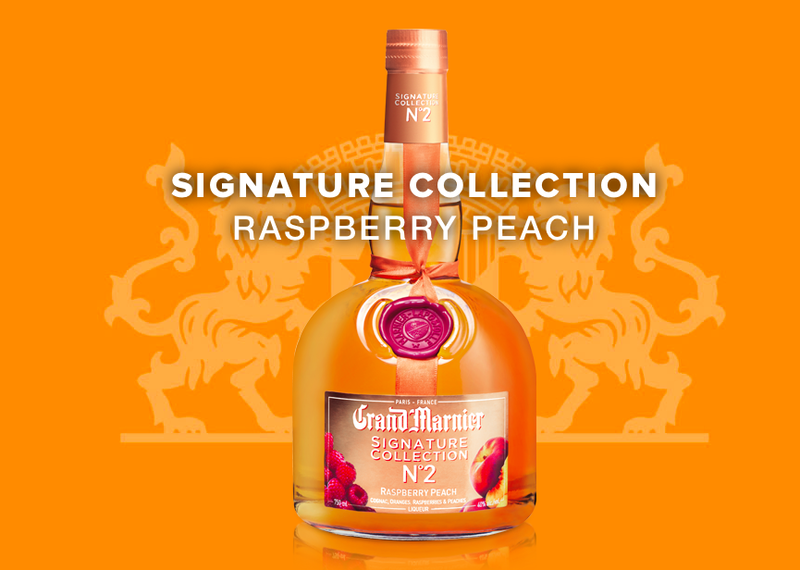 It’s everything you love about the cognac of Grand Marnier, but with a sassy raspberry twist! This season the iconic brand released a Raspberry Peach to their Signature Collection! 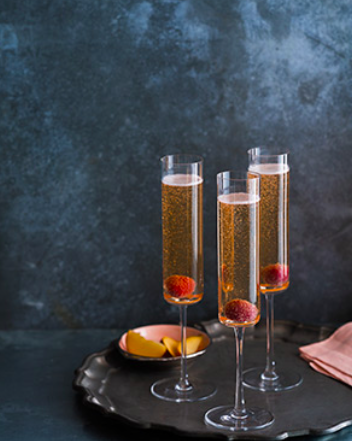 This rose colored liqueur is a blend of the natural flavors of succulent European raspberries and red peaches from Ardeche in the South of France that is then blended with the classically flavored orange essence cognac. Edible Skinny found this to be a fabulous touch to create that perfect distinctive fruity cocktail such as a Grand Raspberry Peach Cosmo! High West is a favorite brand of Edible Skinny ever since we got into the world of brown liquor. And while at the Sundance Film Festival in January, we were able to experience High West’s fantastic Campfire Whiskey, the world’s only blend of Scotch, Bourbon, and Rye Whiskeys. The exact blend of this concoction is top secret but we do know that the breakdown is the following: the Bourbon is the main flavor, while the Rye is the enhancing flavor, and the accent is found in the Scotch whiskey. The result is a sweet, spicy, and smoky taste that is perfect on the rocks around a campfire roasting S’Mores. So whatever you poison here’s to Holidays full of Tipsy Tingling alcohol and life being delicious! When I tell people I am a health nut, their gut reaction is to think that I always eat tons of vegetables and never touch sugar. While half of that is true, that isn’t necessarily my goal, especially as a coach. My goal is always to get people to have a better understanding of what food does for us, so we may all have an easier time enjoying food, and releasing us from guilt. In other words, I eat all my vegetables and eat well so I can eat sugar guilt free, and flab free! That’s why I was so excited to learn about Home and Family. Home and Family, a two hour daily show on the Hallmark Channel which airs weekdays at 10amET/PT, is aimed to help viewers improve their home lives. They cover a wide range of topics; from sewing and decorating, to home repair, to lifestyle, to even gardening. 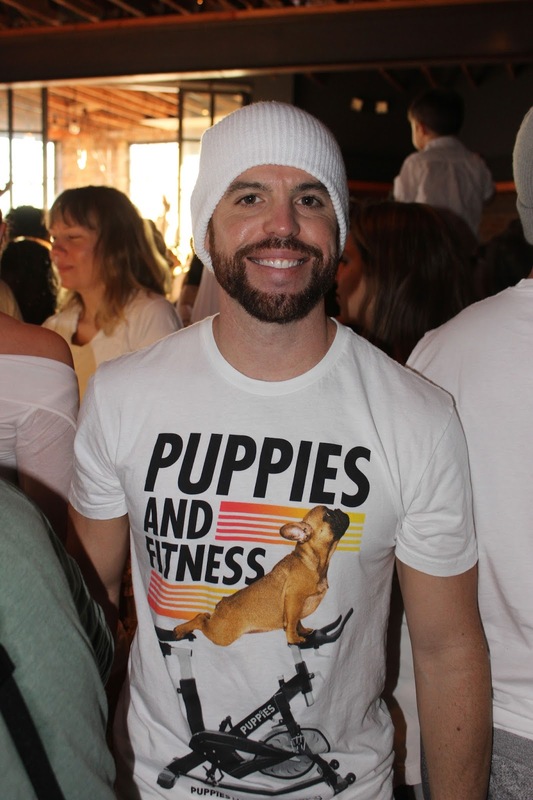 But my personal favorites are their food segments with family member Dan Kohler. When he talks about food, he makes sure to get into the science (yay science!) and history of some of my favorite treats. 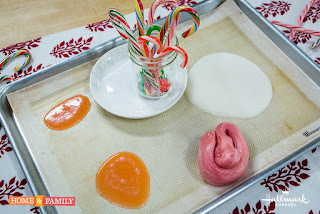 In one episode, former Blue Man and founder of RenegadeKitchen.com, Dan Kohler teaches the family all about the history and science of one of my favorite holiday treats, the candy cane. For example, Dan explains, this peppermint treat is so popular that over 1.7 billion candy canes were sold in 2014 alone. Dan also explains all about how sugar can be manipulated with simple ingredients and heat to make delicious candy. Like a great coach, he does give a small warning that working with hot sugar is something that should be done only with supervision, but can be an enjoyable family activity. Just like any great cooking show, they show the whole process from start to finish, including playing with a ball of molten sugar and forming it into the famous cane shape, making it simple and easy to understand. They also provide the recipe on the website to make shopping a breeze. After watching this, I naturally looked into other recipes that Dan talks about, such as dry ice soft serve ice cream, and even making your own colorful rock candy! I learned so much in such a short time watching, and I highly encourage all of our readers to do the same. 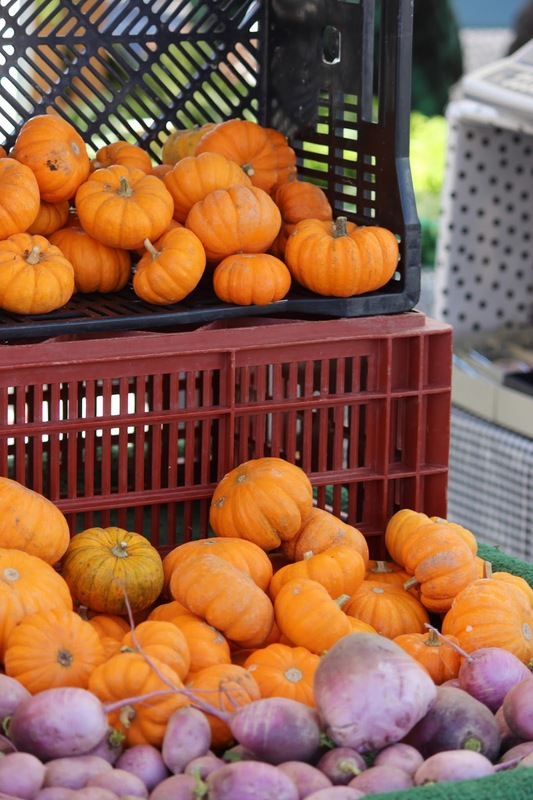 Healthy eating is not always about avoiding sugar at all costs. For me, and my clients, it is always about knowing more about your food, cooking at home, and enjoying what you put into your body. 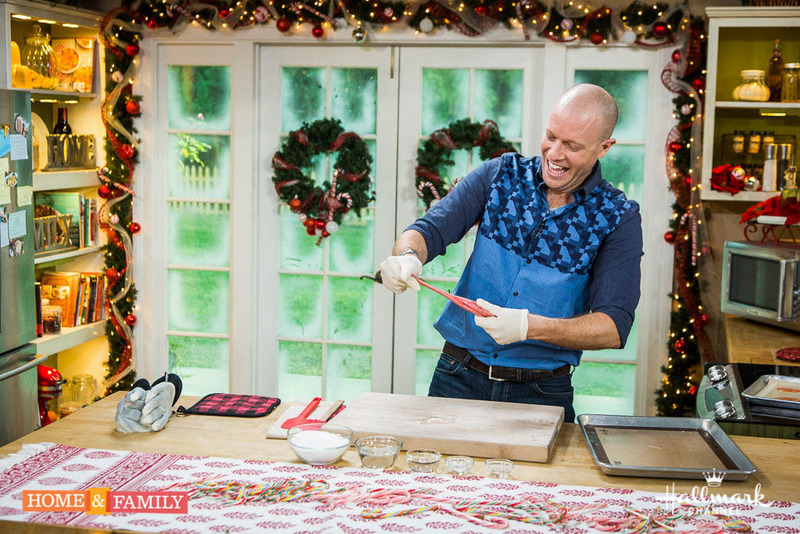 To help you learn more, check out more from family member Dan Kohler on Home and Family, and try some recipes at home yourself! Now if you’ll excuse me, I’m about to go science up some candy canes of my own. 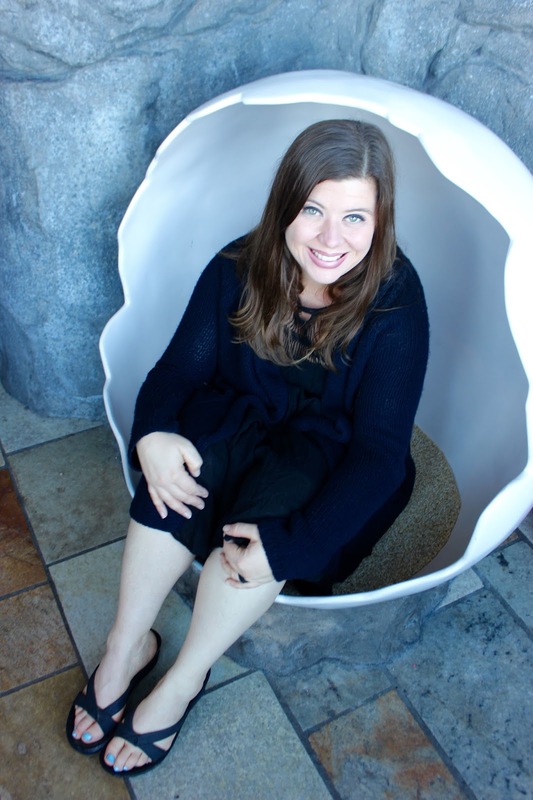 When Edible Skinny was the Monterey/Carmel area in October we were able to spend a little bit more time with Miss Hunter Lowder President of the Carmel Valley based wineries Holman Ranch and Jarman. 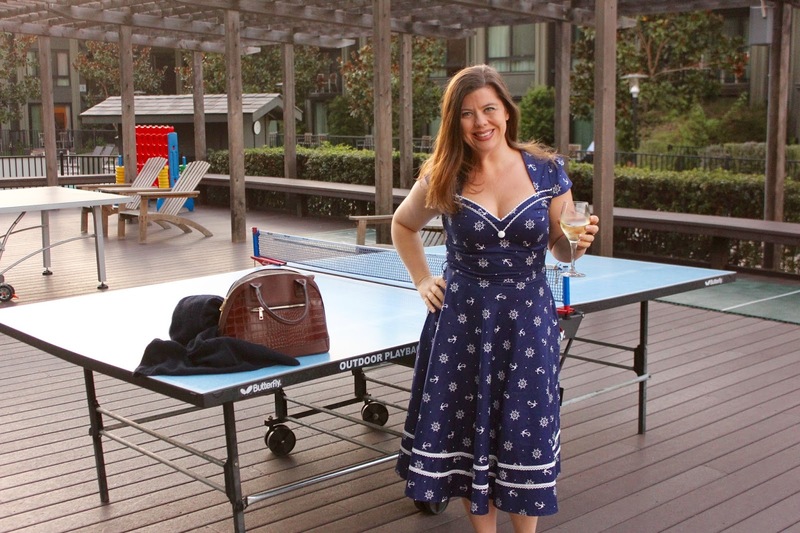 Hunter is a fantastically sassy woman (when asked if she was married to Nick Elliiot, Guest Services Manager at Holman Ranch, she quipped “Actually, Nick’s married to me…”) who runs their family’s boutique wine empire (4,000 cases total) with the perfect Bossy Girl attitude (to quote Amy Poehler). Now ES readers will most definitely remember that we are super fans of the fantastic Holman Ranch (as Kelly says they make wines that “taste like I want to dance in them”) but for this Spread the Warmth we want focus on their newer brand: Jarman. 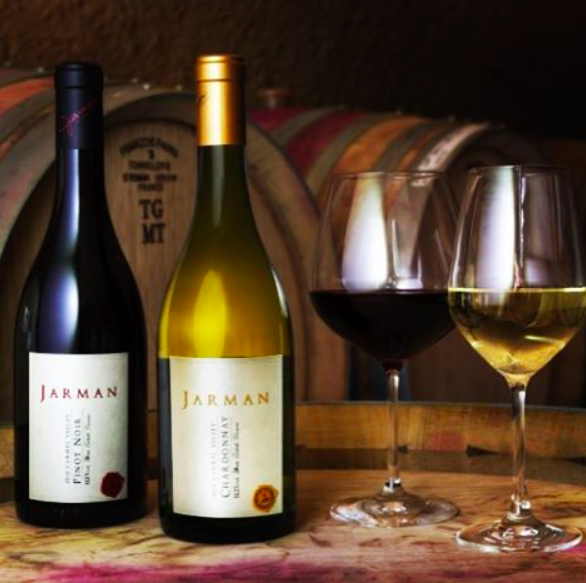 Holman Ranch’s Jarman label reflects the family’s dedication to quality through smaller quantities with only the best 100 percent estate-grown grapes used during an artisanal, small batch winemaking process and aged in exclusively French Oak barrels. With a higher price point (their Chardonnay runs $45 while their Pinot Noir is $75), this cost is reflected through Jarman’s vintages being held in limited supply and not available anywhere outside of the tasting room. But one of the best aspects of Jarman is its Do-Gooder dedication. With a personal connection to the dreadful disease of Alzheimer’s (Hunter’s mother Jarman, for whom the label is named after, passed away due to complications to the disease), $1 from each bottle sold will go to the Alzheimer’s Drug Discovery Foundation. The funds are used on Alzheimer’s drug research to help find effective treatments for this dreadful disease that touches millions. 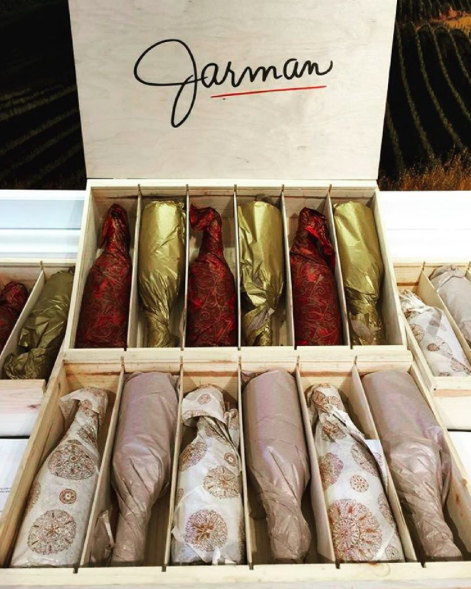 So if you’re looking for that perfect special occasion Pinot that helps spread the warmth through helping a spectacular cause make sure to grab a bottle of the Jarman! Hoping your days are full of fantastically sassy women and your Holidays are delicious! 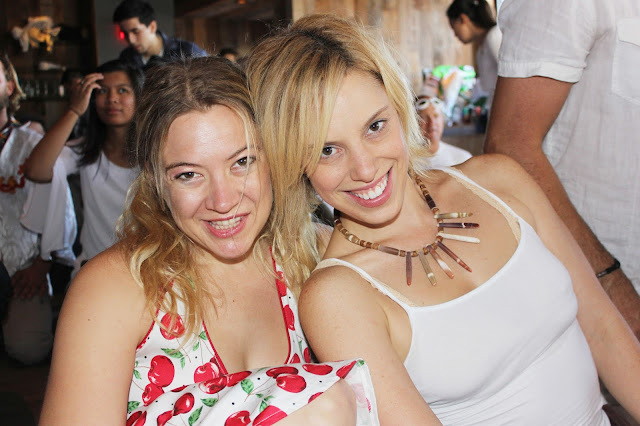 Earlier this year Kelly and I traveled to Santa Barbara to attend the Garagiste Wine Festival, an event that celebrates the individuality of the small winemaker. While in Solvang we discovered the artistry on Sempli’s hand blow wine glasses, only to discover that their studio is mere blocks away from my house in Culver City. 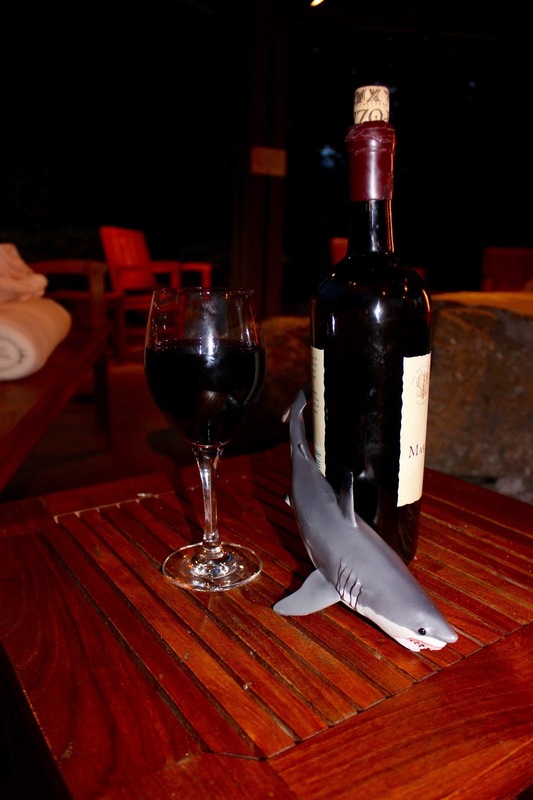 So for our next Spread the Warmth Holiday Gift Guide we suggest the sensory experience of enjoying a glass of your favorite vino from Sempli’s unique Cupa Vino. Sempli’s hand-blown wine glasses were created after Swedish designer, and Sempli owner, Daniele ‘Danne’ Semeraro realized that the stem on a traditional glass was aesthetically and technically superfluous. Semeraro, who has a degree in Interior and Industrial Design at Accademia Italiana from Florence, Italy, had worked for wide range of design firms from automotive companies in Sweden to interior and lighting design companies in California. He designed Sempli’s Cupa wine glasses as an alternative to the everyday. 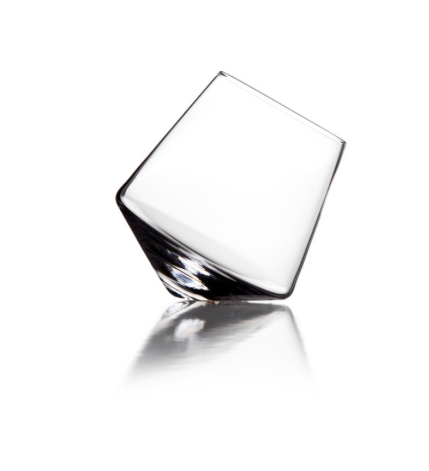 Made from lead free crystal, their unique stemless construction creates a swirling rotation when set down, assisting in the oxygenation of the wine. For those who are more cocktail minded this glass also lends itself perfectly for a refreshing libation like a Mojito or Singapore Sling. Set includes two wine glasses in an elegant gift box. 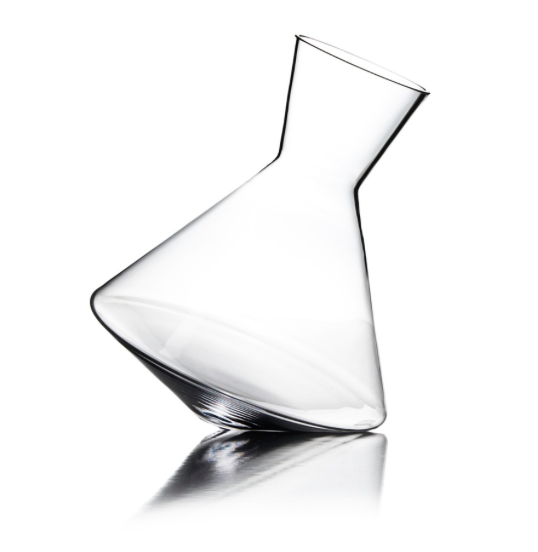 And for those looking for more sizable gift set, you can add on Sempli’s Vaso Vino, their handblown decanter. The Vaso Vino is designed to aerate your favorite wine in an unsurpassable way. It comfortably fits one whole 750ml bottle, and works for both white and red wine. Hoping all of your wine is looks as good as it tastes and that your holidays are delicious! Whether it is a bed and breakfast or a high rise over a city skyline, the best hotels anticipate the needs of guest before they even arrive. They have each detail planned, they anticipate the eloquence of each experience to ensure that there is little to want for, and much to enjoy. The Hyatt Monterey Regency is no exception; more than just hotel, their widespread grounds like feel more like a friendly college campus then a get in and get out overnight type of operation. There is an element of comfortability, yet they seen have small details that add up to a rich experience. This pampering, yet functional, getaway has nearly every luxury one could think of to wine, dine and unwind. Nestled on 22 acres of beauty, there are many grand ways to work up an appetite at the Hyatt Regency Monterey. Whether it is at their 24-hour gym, Racquet club, playing ping pong, or putting the day away on their famous Del Monte Golf Course, the Hyatt Regency has got you covered. While their more casual establishment, Knuckles has been voted Monterey Peninsula’s best sports bar 12-years in a row, Edible Skinny opted for a more sophisticated dining at experience at Hyatt Monterey’s delicious TusCA. 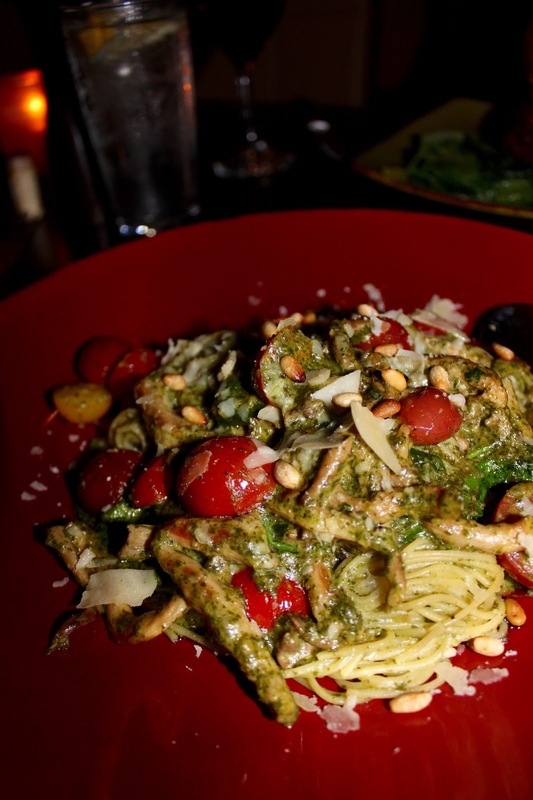 TusCA is a taste of Italy paired with the coastal cuisine of California: the best of both culinary worlds. TusCA was a mouthwatering treat, that had consistent delicacy and dependable flavor. 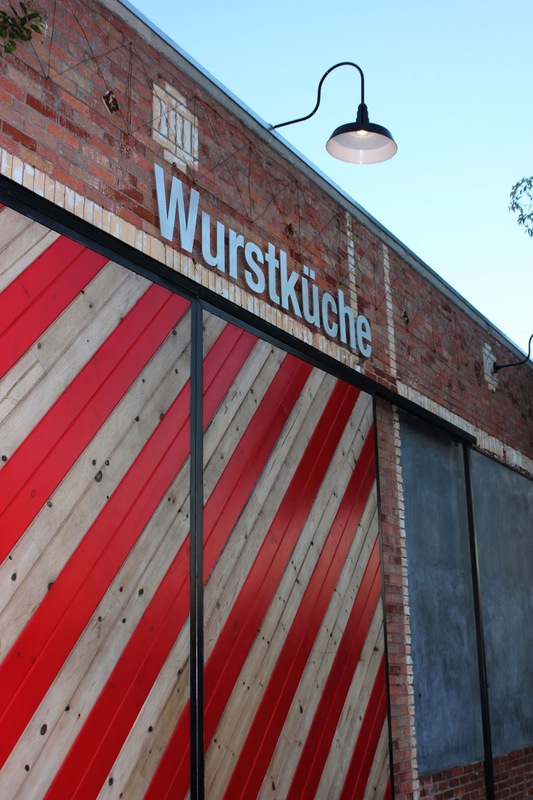 It’s a restaurant of many accents that bring the experience together as a whole. At TusCA there is a touch of this and a pinch of that for a multi-layered experience you will never forget. Their head chef Steve Johnson is both an innovator and expert, crafting both stand out staples and curious combinations diners will never forget. While almost every dish was exceptional in its own right, we definitely had some stands we are dying to share. To begin our meal, we loved the TusCan Crab Cakes with white bean salad, arugula, Davina Tomatoes, lemon Oil. They we’re de-lis-ous. 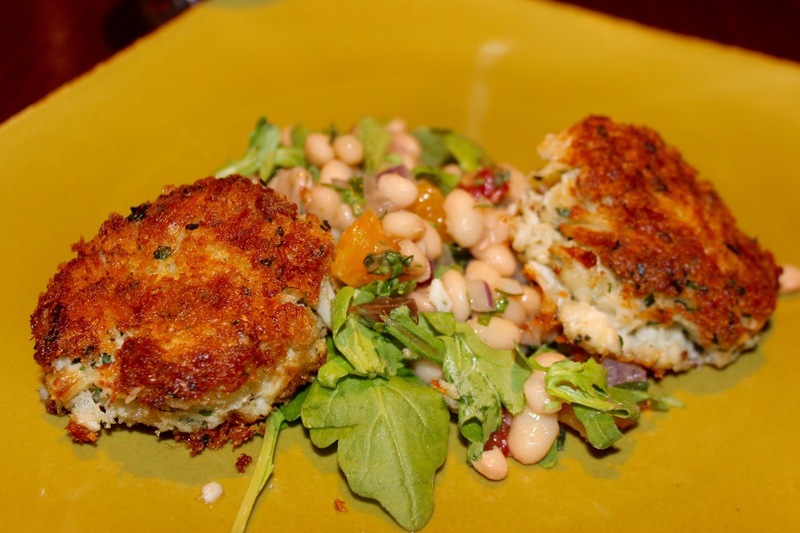 We’re usually a crab cake snobs, but we were very impressed by the golden brown crispness on the outside with the plump and tender juicy jumbo lump on the inside. Combining a nice dichotomy of texture and richness, these plump pillows of goodness had almost no filler, but lots of flavor. A must order for seafood lovers. Heirloom Tomatoes, basil, pickled Onions, Extra Virgin Olive Oil, grilled Bread. We loved this dish so much we ordered it two nights in a row. 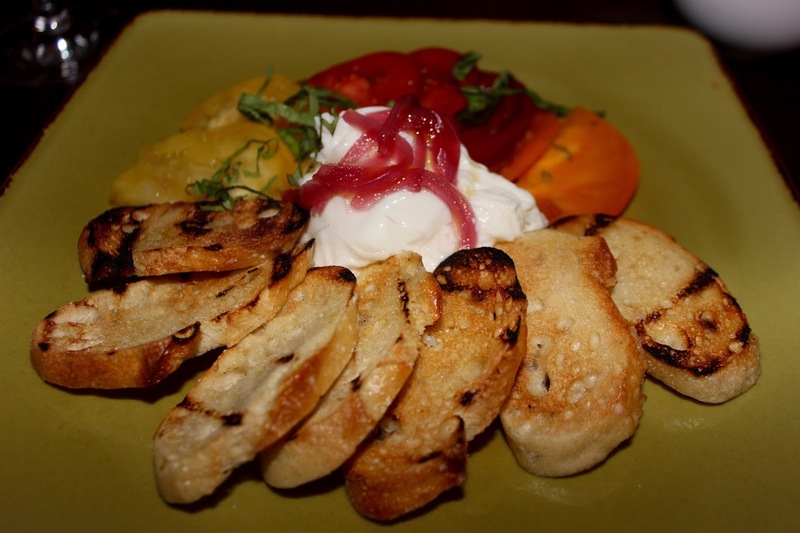 The Burrata, vinegar, and grilled bread equals the best of all delectable sensations. You get the cream, the tang, the crunch, and the zing.” If you are visiting TusCA make sure to check out this refreshing and refined appetizer. For main dishes we were dazzled by Angel Hair Pasta with Pesto Sauce, Cherry Tomatoes, Spinach, Pine Nuts. The Pesto rich and savory. The nuts aren’t completely blended so you great some graininess in the texture. 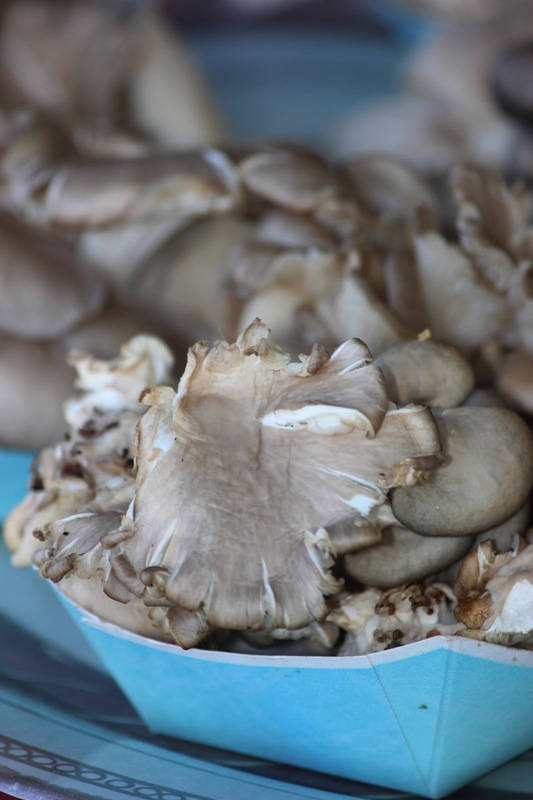 Mushrooms added to the dish are awesome texture for those vegetarians who want a little more something to their meal. Grain Mustard, Fingerling Potatoes, pancetta, Braised Escarole, and Date Butter. The butter adds a dimensional juxtaposition of grilled savory to crunch, with a maple rounding finish. 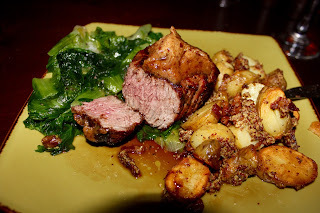 Here at TusCA, this was one of the best steaks we at Edible Skinny have had in quite some time. 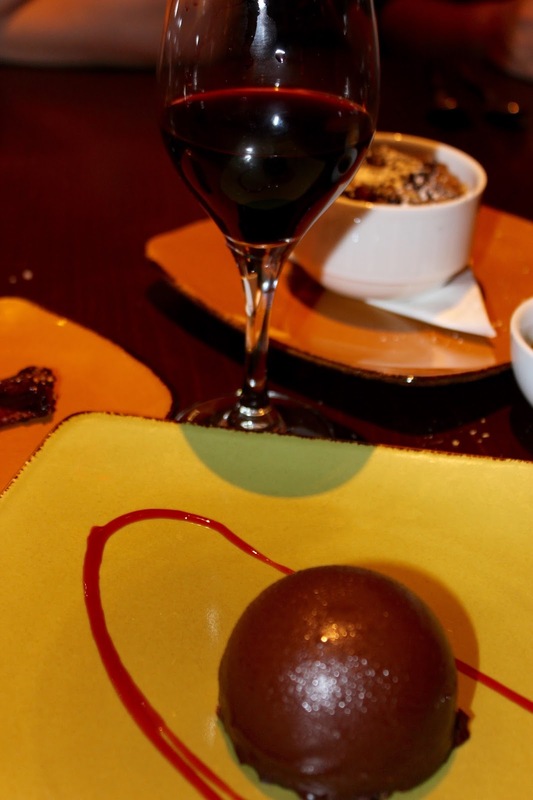 And of course, what’s dining, wining and unwinding with a little sweet to add to the savory. We love, love, loved Chocolate Dome a Ghiradelli Mousse, Chocolate Cake, and Peppered Candied Bacon. Candied Bacon! This dessert should have its own category of deliciousness. Unless you have had chocolate and this candied bacon, you’re not on our cosmic level. This was a beautiful galaxy of flavor. It’s worth a trip to Hyatt Regency for this dish alone. Whether you want a frosty brew at Knuckles or a glass of local vino at TusCA, Hyatt Monterey has lots of libations to slowly sip and savor. You can also enjoy a cocktail at their fireside lounge with live jazz on the weekends. While there were too many wonderful libations to list, we did have some favorites. 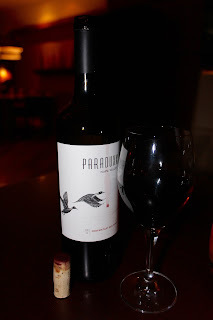 Among some of the standouts we sampled were the Twisted Roots a Petite Sirah from Lodi, with a tasting room in Carmel Valley Village, We also enjoyed Paraduxx a very subtle red blend from Napa that is part of the Duckhorn label. The most delicious thing about our stay at the Hyatt Regency Monterey was not our meals. Well maybe it was, who could forget that Buratta...! But we had an equally delicious experience at the Hyatt’s Marilyn Monroe spa. With funky decor and a full service pampering, the Marilyn Monroe Spa covers anything from makeup to massage to reflexology. We were lucky enough to have the traditional Marilyn Relaxation Treatment which included a one hour relaxing full body massage. Jennifer, our masseuse, asked if there any specific areas and tried her best to individualize her craft to ease each tension. During the massage she used with essential oil with rose hips, which put us on cloud nine and left us smelling yummy for the remainder of the day. All of the products used at the spa are 100% organic and many are produced locally. The Marilyn Monroe spa even has their own makeup line, to prepare brides to be’s or pamper a group of ladies in for a makeover. There is also a sauna on site for anyone looking to relax and sweat out some tension. From their monthly manicure club to the massage (face massage and facials) they offer everything a girl (or guy) could need, to stay a classic Marilyn beauty. While some might see exercise as chore, we love the calming effects it has on our body. The Hyatt Regency Monterey also sports a 24-hour fitness center that has anything a health nut might need. With a great mix of cardio and weight machines, no part of the establishment is too small to think about for an exquisite experience. Our favorite thing about the fitness center was the eucalyptus towels scented towels, refrigerated for the perfect cool and refreshing post workout treat. So the next time you are in the Monterey area be sure to check out how you can relax to the max with Hyatt Regency Monterey. Coffee. We consume it to help us wake up, keep us up during crunch time, and share it to socialize. Unfortunately, if you’re like me, it usually tastes terrible, and we have to add sugar and other unhealthy additives to make it bearable. Yet we’re still addicted to its effects. As a health nut, I forced myself to like it black. It was just a part of life. But within a few years I found myself reaching for a second, third, and even fourth cup during the day just to stay awake. Then I started hearing whispers of a miracle cup of coffee that promised not only a great tasting cup of joe, but also mental clarity, and a feeling of being full for hours on end. I had to try it. That miracle brew? Butter coffee. The recipe is simple. Take a good organic coffee, add grass fed butter and medium chain triglyceride oil, and blend. Then enjoy. This changed my life. One cup in the mornings and I could finally skip breakfast guilt free. The best part? Goodbye brain fog and that 2pm slump. Naturally, after three years of this being my morning ritual, I had to jump at the chance of reviewing Grass Fed Coffee. They were gracious enough to send me a can (yup, a can) of this premade miracle brew. They use organic, fair trade cold brewed coffee, mix in German sourced grass fed butter, a quality distilled MCT oil, and even add in organic chicory extract for a little added fiber and protein. The result is a naturally creamy and slightly sweet flavor that tastes amazing, and keeps you satiated for hours on end. This project is still in theKickstarter phase, but early backers will receive 20-30% off the retail price of $3.99/can. This is easily comparable to the price of brewing this every morning with separate ingredients, especially when you add the time to brew and clean up (takes me roughly 20 minutes every morning). Great taste, great effects, and great price, all in the convenience of a cold brewed and shelf stable can. Check out their Kickstarter, become a backer, and, more importantly, step into a better, healthier cup of coffee! Edible Skinny has fallen in LOVE with oily skin. CORRECTION: we’ve fallen in LOVE with making our skin oily through Dessert Essence's Blended Beauty Oils to then make it fabulously luxuriously soft. Beauty Oils (many with names we can’t pronounce) have been used since ancient times to moisturize and revitalize the body from head to toe. 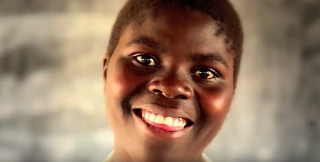 And Dessert Essence aims to improve the globe with these old world beauty techniques by way of a new world spin of supporting Plan International’s USA’s Because I AM A Girl, which directly improves the lives of girls in the world’s poorest countries. Our favorite from Dessert Essence’s line is the Moringa, Jojoba, & Rose Jip Blended Oils ($13.99) which combines the now ubiquitous Jojoba Oil with Morigna. Morigna Oleifera, is known as The Tree of Life plant. The oil extracted from Morigna, contains more antioxidants than any other vegetation on the planet and is considered to be one of the greatest cosmetic oils ever discovered as it holds in its golden droplets Vitamins A, B, C, & E along with being rich in fatty acids needed to fight skin fatigue. Rubbing a couple of drops over our face at night has the lasting result of waking up with skin rejuvenated and silky smooth. 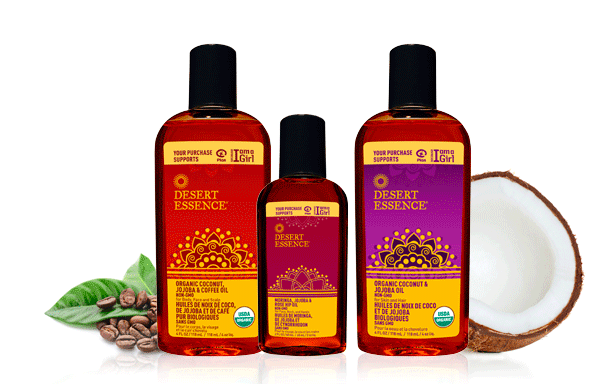 Other products released from Desert Essence's Because I'm a Girl Beauty Oil line include the morning refresher, Organic Coconut, Jojoba, & Pure Coffee Blended Oil ($16.99) and the calmer Organic Coconut and Jojoba Blended Oil ($16.99). The best use for both is to leave in your hair for twenty minutes before rinsing out. The result is satiny sleek hair that has no use for static electricity whatsoever. So if you’re looking for a simple Holiday gift with long last effects head over to your local Whole Foods and grab a bottle or two. Here’s to our hair and skin glowing with the essence of the Tree of Life and to life being delicious this Holiday season! Hello Fishes!!! Edible Skinny Does the Monterey Bay Aquarium! Hello Fishes!!! 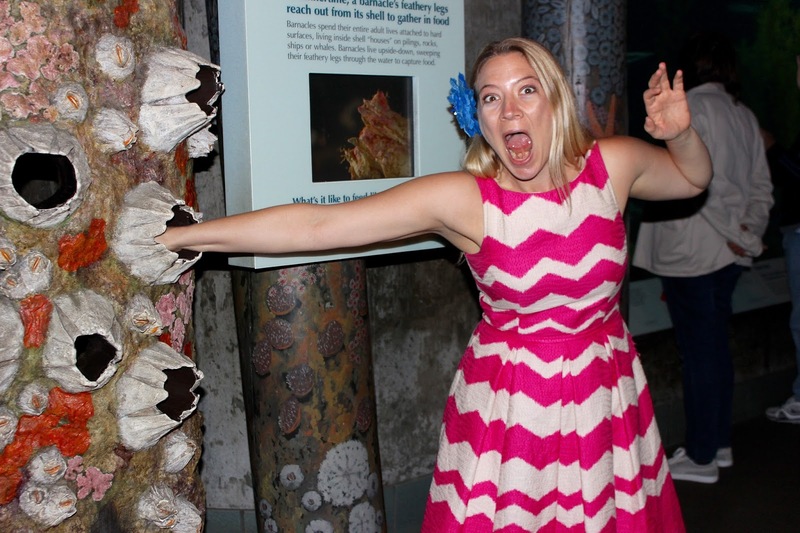 While up in Monterey a month ago Edible Skinny was lucky enough to experience the watery wonder of the Monterey Bay Aquarium! While there Edible Skinny discovered the extraterrestrial world of kelp forests, granite reefs and the open sea tanks filled with hammerhead sharks, sea otters, penguins, octopuses, jellies and countless other creature. 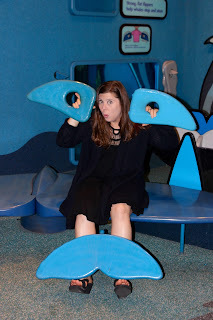 Rated the #1 aquarium in the world by TripAdvisor, the famous educational fish tank is located bayside on the site of a former sardine cannery on Cannery Row (made famous by one Mr. John Steinback…). 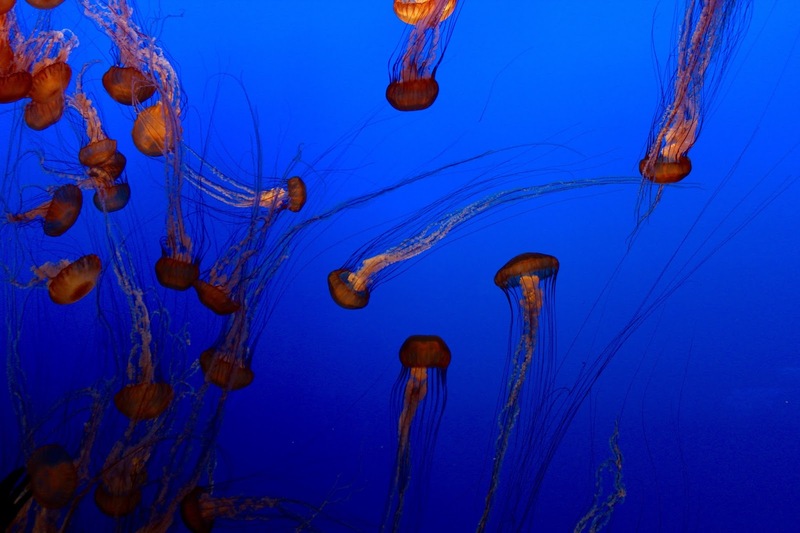 Showcasing the wildlife and habitats of The Monterey Bay National Marine Sanctuary the aquarium has an attendance of more than two million visitors a year. The Monterey Bay Aquarium's 28-foot Kelp Forest is one of the tallest aquarium exhibits in the world. It allows a scuba diver’s eye into the world of sardines, sharks, and eels as they bob and weave through swaying fronds of kelp! 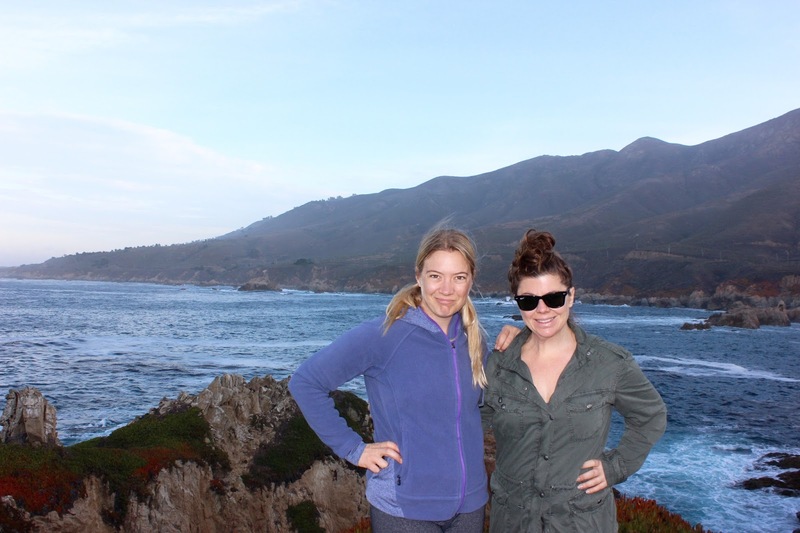 We were on site to experience not one but two fish feedings: the Open Sea and Kelp Forrest. During our the Open Sea feeding we learned that that the Monterey Bay Aquarium has the oldest recorded Hammerhead shark in captivity, a female that's thirteen years old. This same shark is also the largest on record, clocking in at twelve feet long (something you definitely don't want to encounter when scuba diving...). 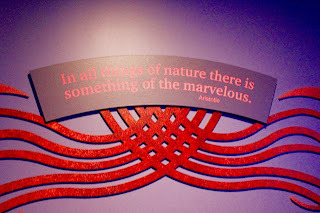 I was once again delighted by the aquarium's Jellyfish exhibit (I adore Jellyfish!!!) 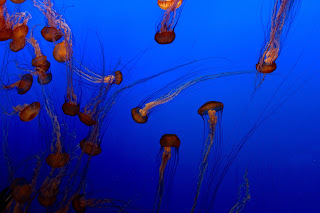 which features native Jellies including the: sea nettles, moon jellies, and the nearly invisible crystal jellyfish. 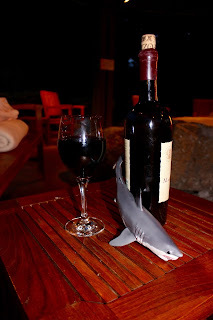 Here's to never encountering a 12 foot Hammerhead or a tuna charging at sixty miles per hour, and to life being delicious! 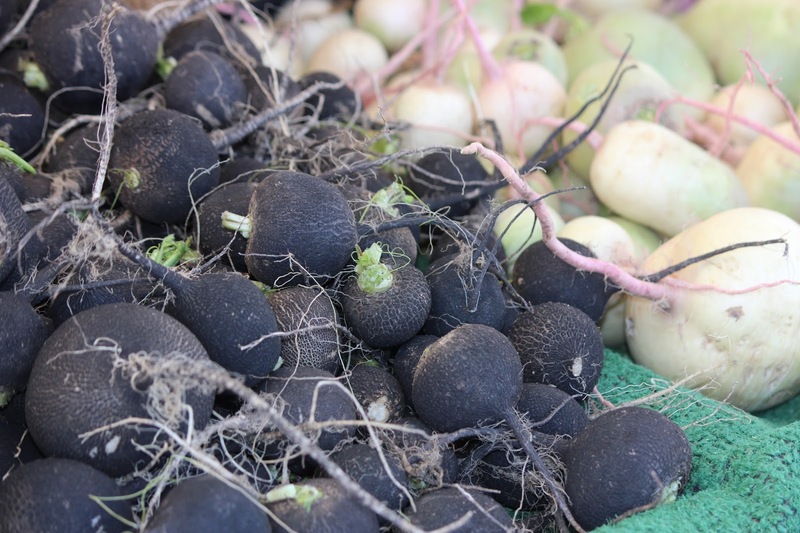 Edible Skinny was at the Mar Vista Farmers Market last weekend and while there we discovered the healthful world of the Black Radish at Weiser Family Farms. 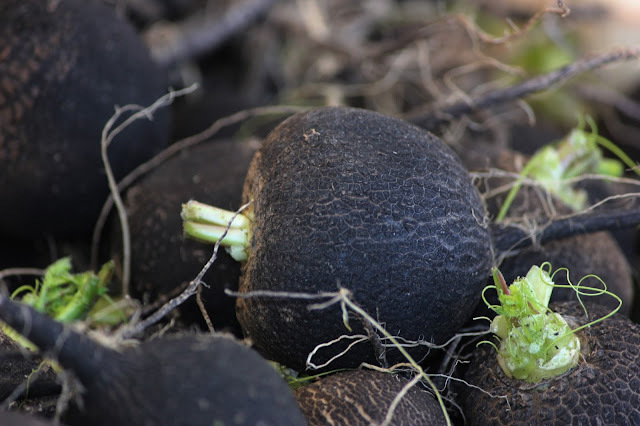 It was noted, especially by Kenny of Weiser, the Black Radish is not for everyone. Spicy and bitter, this is a veggie not for the faint of heart. But the pluses to the body are a wealth of nutrients that can benefit the liver, digestion, help remove kidney stones, and balance thyroid hormones. To serve this bold root vegetable you’ll definitely need to peel it. 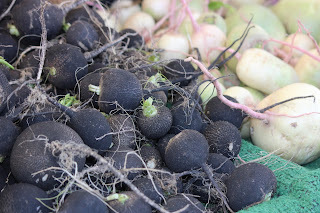 Kenny at Weiser Family Farms suggested afterwards you slice your Black Radishes on a mandolin and have them in as salad so its pungent flavor is masked with a dressing. Hope your salads are always full of spice and that Life is always delicious! Edible Skinny has a love affair with the Ocean. We grew up next to an Ocean (the Atlantic), we live by another Ocean (the Pacific), and most of our favorite vacations involve in Ocean location (too many to count). 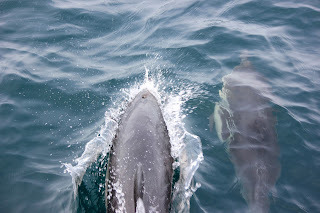 So when we found ourselves at the Hyatt Regency Hotel and Spa in Monterey about a month ago, a mere few miles from the famed Monterey peninsula, we embraced a lifestyle of all things Ocean. One of the best lessons to be learned from the Ocean is the concept of going with the flow, of being all things to all people, of embracing the world of fluidity. And fluidity is something the Hyatt Regency Monterey proudly displays like an Pacific Ocean badge of honor to its guests. A larger hotel than the Carmel Highlands we had stayed at the night before, 550 guestrooms and suites, the Hyatt Regency Monterey is all about catering to whatever you desire. Looking for the perfect place to get away with family? Done deal! With a campus environment, two outdoor pools, ping pong tables, and fire pits for cooking S’mores it’s the ideal spot for families. 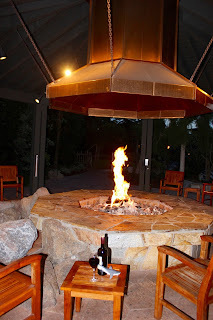 (And BTW it was absolutely fabulous sipping some Monterey County wines under the stars and having what started off as perfect strangers but quickly became friends offer us marshmallows and graham crackers for roasting!) A great place for large scale corporate retreats? Absolutely! 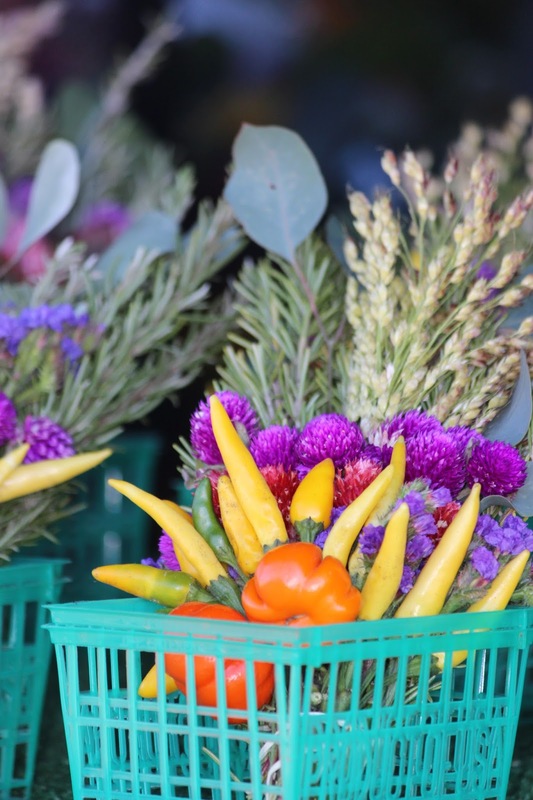 With 40,000 square feet of meeting and event space on the famed Del Monte Golf Course and a twenty minute walk to downtown Monterey, it’s a fantastic place to setup that annual pow wow. And with an onsite spa and some fantastic vistas, it’s also a great place to get married (Heck, there were seven weddings scheduled the weekend we were staying at the hotel…). The Hyatt Regency Hotel and Spa in Monterey is the third busiest Hyatt Regency in the world after New York and Key West, and there’s a reason for that. This is a hotel that can be all things to all people without forgetting to focus on the details. Details like cold post workout eucalyptus towels available in the 24 hour fitness center. Or how when I spilled my morning Starbucks Latte back at the room after waiting in line twenty minutes, my barista proceeded to make a new one for me on the spot, free of charge. 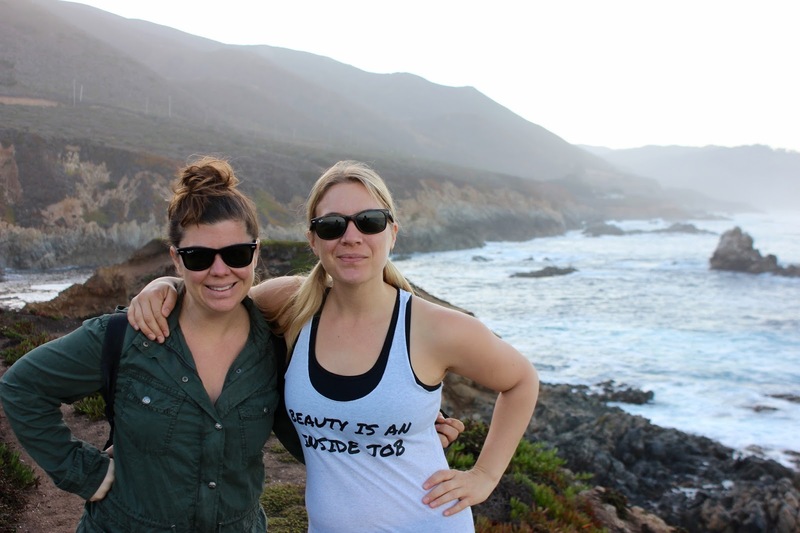 One of Edible Skinny’s favorite experiences while staying at the Hyatt Regency Monterey was the morning Dave Lambert, Director of Marketing, took us on a personally guided hike of one of the most beautiful vistas south of Carmel Highlands. The sunrise view was a breathtaking way to greet the day. And mind you this was on Dave's day off! The Hyatt Regency Monterey’s restaurant offerings, also cater to the fluidity of its guests. TusCa Ristorante offers a taste of both Tuscany and California with a casual spin that caters to business travelers and families alike (more on this restaurant to come!). 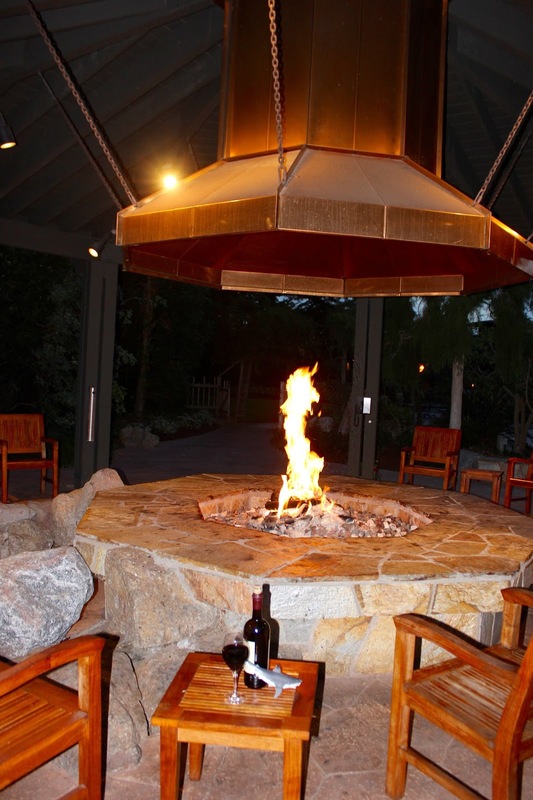 The Fireplace Lounge, located in the lobby, of the Hyatt offers free live jazz by some of the premiere jazz musicians of the famed Monterey Jazz Festival. And their sports bar, Knuckles, was the perfect place to grab a post whale watching drink. Voted the top sports bar in the area 12 years and counting, a pint glass Margarita with a side of complimentary popcorn was the perfect spot to help us return to normal body temperature after three hours on the Pacific. 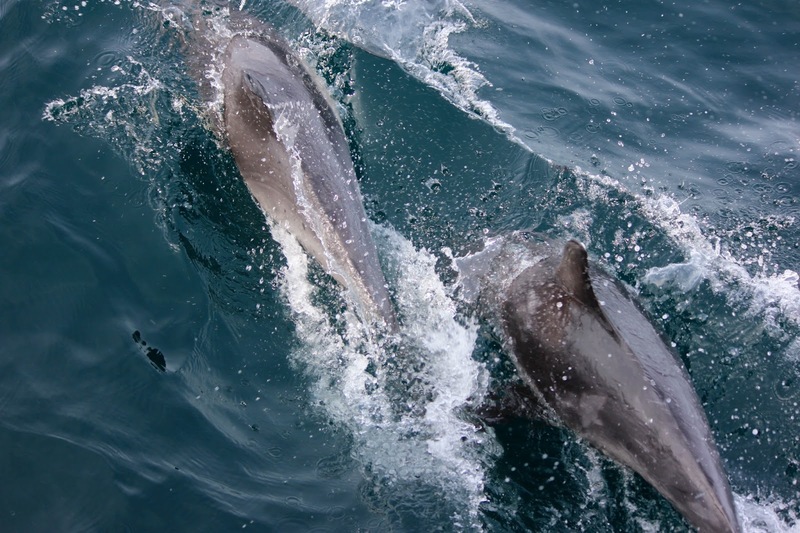 The Monterey coast has been described as the “greatest meeting of land and sea." The Hyatt Regency Monterey is a perfect reflection of this concept; a place where the Ocean meets our soul, reminding us to embrace the fluidity of it all. 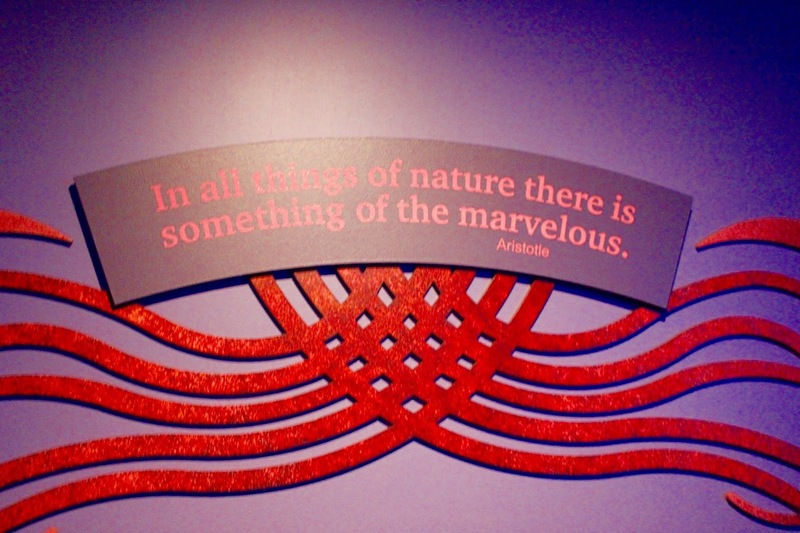 Here’s to life being delicious and ALWAYS going with the flow! A little while ago, Edible Skinny was lucky enough to attend WineLA’s STARS of Cabernet at the Peninsula Beverly Hills. While there, we were given a passport to this delicious bold “statement” wine and learn a little bit more about a few choice Cabs brands. As luck would have it one of our favorite Cabernets of the night was the first table we sampled at. The Hawk Horse Vineyards is a small family-owned and operated ranch and vineyard estate located in the Red Hills AVA of Lake County in Northern California. The vineyard, situated in mountainside with elevations between 1,800 and 2,200 feet, grows award-winning Cabernet Sauvignon and their delicious “Latigo” Port-Style wine. Hand crafted with precision, their luscious wines are both Demeter Biodynamic and CCOF Organic Certified. For those looking to experience these sumptuous wines on site, the ranch offers private tours and tastings allowing their guests to encounter the ranch’s varied wildlife including Red Hawks, American Quarter Horses, and Scottish Highland Cattle (this last one are very very funny looking…). Another wine that ES delighted in was the ever popular Jordan Vineyard (and that statement is more than accurate as Mister Nick Holmes told us they are the most popular restaurant wine in the country..!). John Jordan’s brand, located in the Alexander Valley on 1,200 acres, produces two varietals, Chardonnay and Cabernet, along with some fantastic viral videos such as their Blurred Lines parody… “Blurred Vines” and their Footloose/Flashdance parody “Get Fit.” Both are absolutely hysterical and get the heart of Jordan’s philosophy which is there are Wine Geeks (those who overthink wine) and Wine Dudes (people who don’t and have a blast with life). Sipping their wines at STARS of Cabernet reminded me once again how much I would rather embrace the latter than the former. We then strolled over to the Paso Robles (Cabernet and Bordeaux) Collective (PRCC) Cabernet table. PRCC is a grass-roots organization which promotes the Paso Robles AVA through the classic Cabernet and red Bordeaux varietals. The organization put on quite a spread offering over a dozen red hued wines from the area as varied poppies in a field. Some of our favorite wines we sampled from their array of choice Cabs, were Sextant Winery, Rotta Winery, and Dao Vineyards & Winery. The night finished with a fantastic glass of ZD Wines Reserva wine, Abacus. 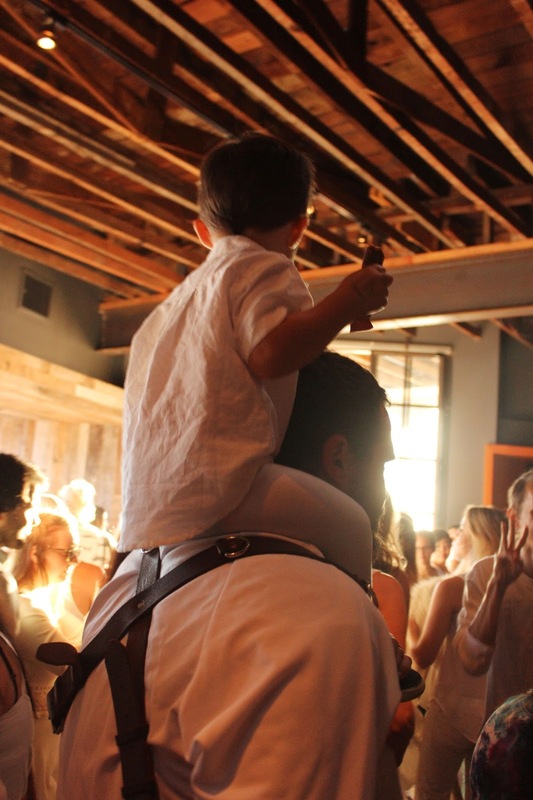 ZD Wines, is a family owned and operated by three generations of the deLeuze family, in the heart of Napa Valley. Their Abacus wine, produced from several vineyards in the Valley, has an intensity that develops and envelopes you with flavors of cassis, plum, and vanilla. Full of ripe tannins, it’s a wine that lingers on your lips the way a delicious memory lingers in your mind. So here’s all your Cabs being full of statement and life being delicious! 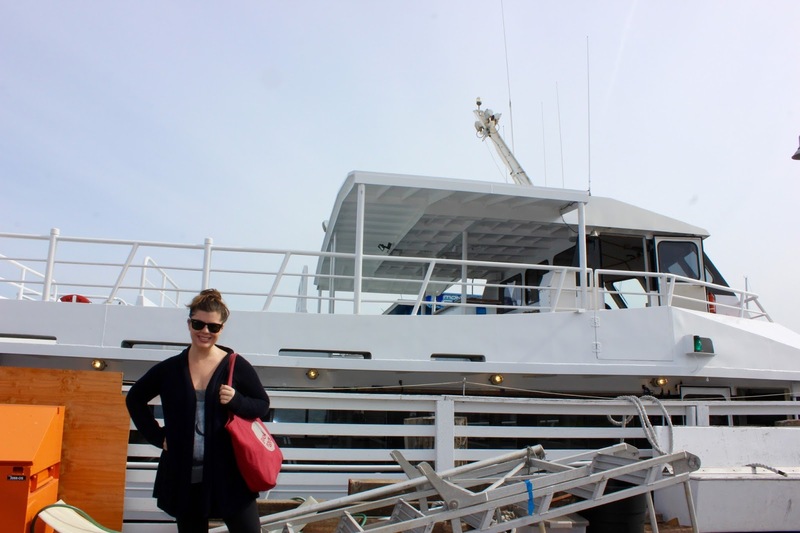 Monterey Bay Whale Watch is your chance to feel like part of the ocean without getting wet. Sea otters, dolphins, sea lions, whales; all of our ocean friends came out to play during Edible Skinny’s whale watching tour with Monterey Bay Whale Watch. Monterey Bay Whale Watch is owned and operated by Nancy Black, a marine biologist who has worked with whales and dolphins in the region for over 10 years Monterey Bay Whale Watch tour puts on large emphasis on preserving this natural beauty through an experience that organically observe the wildlife in their natural setting without upsetting the natural order of things. Edible Skinny also saw lots and lot of whales. 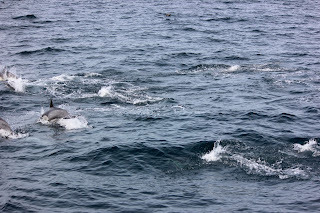 We loved experiencing the lazy rolling of gray whales and the peeking tails of Humpbacks. 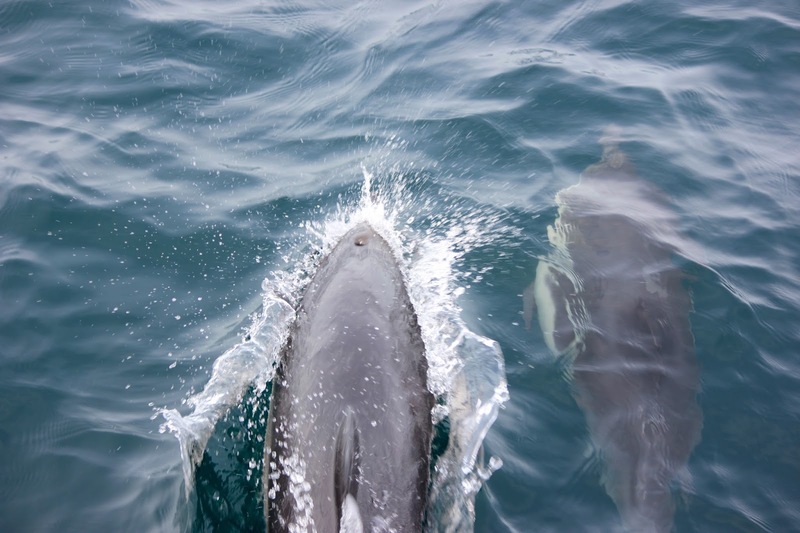 Sometimes Monterey Bay Whale Watch patrons (unfortunately not us though) even see a Killer Whale or two, on top of all the other ocean life. 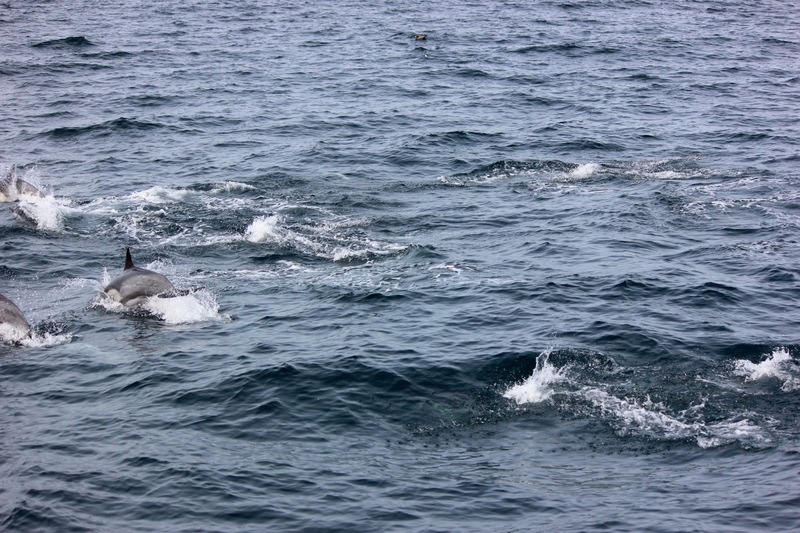 During the tour we were so close, we could even smell the whale breath. 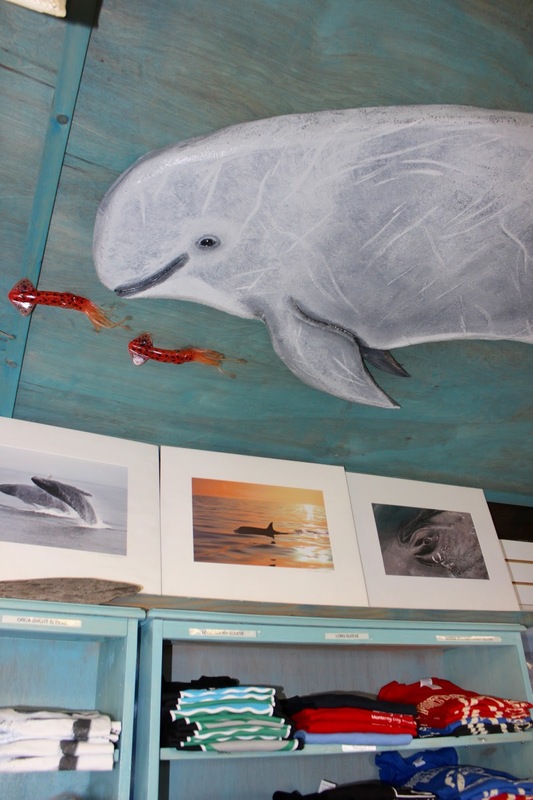 Yep, there is a distinct order after whales have spewed water from the blow hole, a natural cologne, let’s call it. 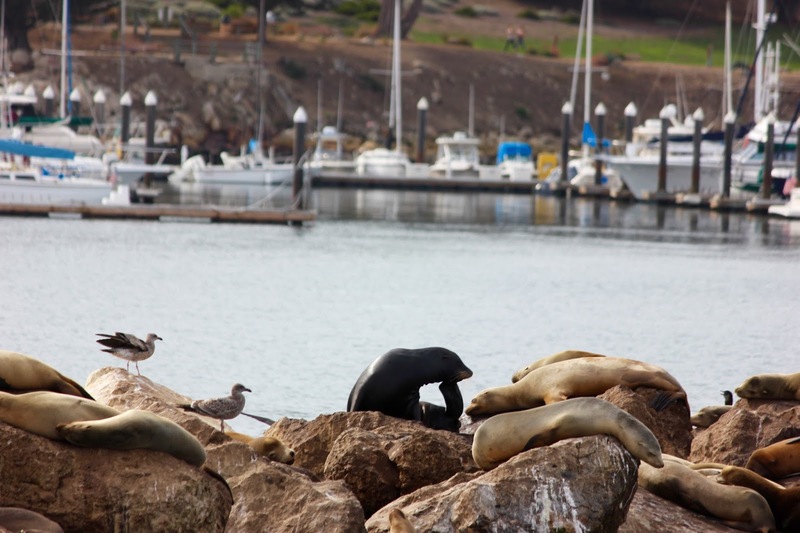 Edible Skinny was so close we could say, “Awww, how cool, but Eeewwwww, that smells pretty gross.” Monterey Bay is basically the hottest hang out for whales and most marine life. If we were a whale, we know that’s where we’d be. The three hour tour, which focused just as much on education as it does experience was hosted by Greg the naturalist, who narrated about each species, their migration and mating habits, as well as the fascinating facts about the region itself. With a touch humor and huge depths on knowledge, Edible Skinny laughed, smiled, even got sprayed a little. Plus we learned so much. If you find yourself in Monterey, make sure to check out Monterey Bay Whale Watch, an aquatic floating classroom of experience and adventure. As always, hope life is delicious. Edible Skinny was lucky enough to attend DAYBREAKER, the sunrise disco extravaganza on November 18, 2015. 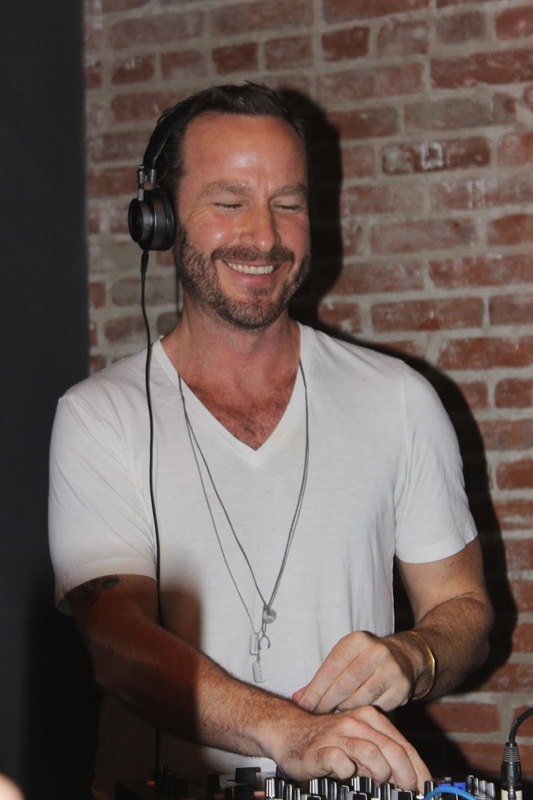 The event, held at the sausage beer hall Wurstkuche, started with an early morning 5:30 yoga class followed by two hours of rocking it out to DJ Jason Bentley (who looks as cute as he sounds on KCRW)! 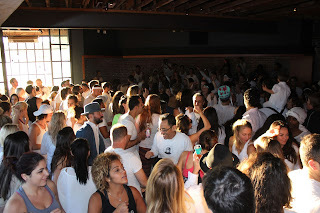 This rock star morning rave movement has successfully flowed its feet and hearts to the people of New York, London, Los Angeles, and San Francisco calling to people of all ages, occupations, and backgrounds with a new approach to fitness and fun. And there’s early morning parties coming soon to global cities such as Hong Kong, Tokyo, Mumbai, and Cape Town! Here’s to life being delicious and every morning starting out with Jason Bentley IRL!